If you’ve made an interesting offer to your audience, the next thing you want to do is continue that offer and invite them to make a commitment. This prepares them to start making bigger commitments – like buying your art. This process starts right after someone gives you their initial email opt-in. Your email management service (ConvertKit, Mailchimp, or the like) will automatically send a confirmation email. 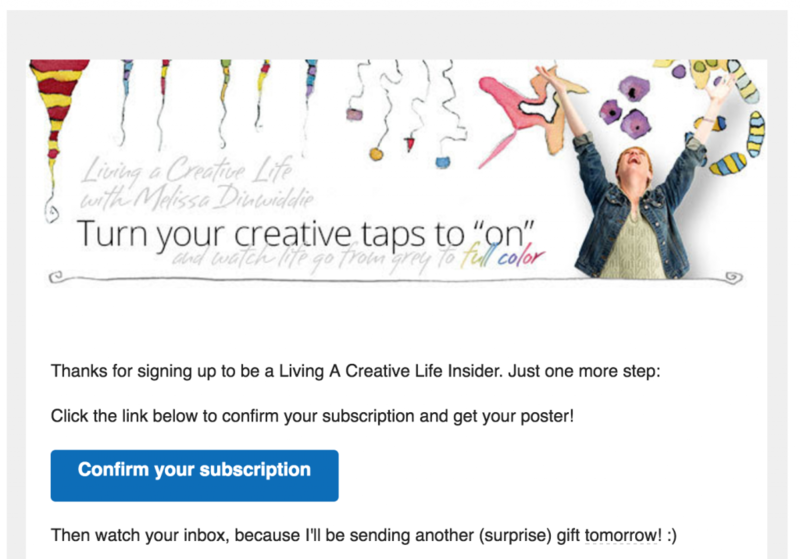 You can design that confirmation email – and you should. It can be something as simple as a reminder of why they are receiving the confirmation email. 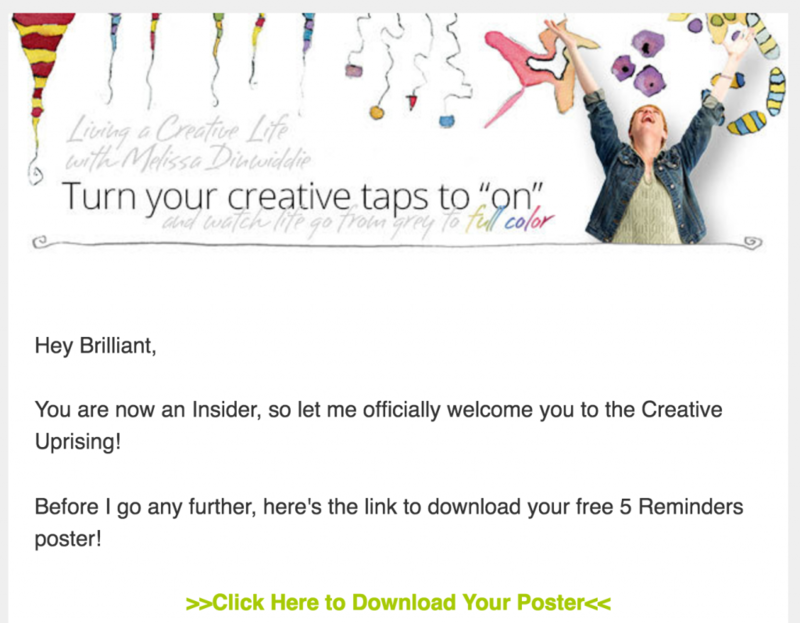 Tangent: If you want to do something extra-fancy, check out Melissa’s interstitial offer page that shows up right after you submit your email address. Here’s a pdf of the page. Also, here’s a confirmation page from Melissa Kojima that does a great job setting expectations. Click to enlarge. The final confirmation email should give them something to do. In addition to delivering your opt-in gift (if you have one). Here’s a pdf of the entire final email. It’s a great study in how to get people prepared for what you do as an artist. In that final welcome email, you want them to really commit to their interest in what you do. what is your favorite kind of art to collect? what kind of help you do you need in expanding your art collection? who is someone you’d like to memorialize via portrait? Most artists don’t do this, so I’m including a couple of examples from non-artists. You can use these as examples to model. MNIB Consulting – My friend Breanne’s consulting business. 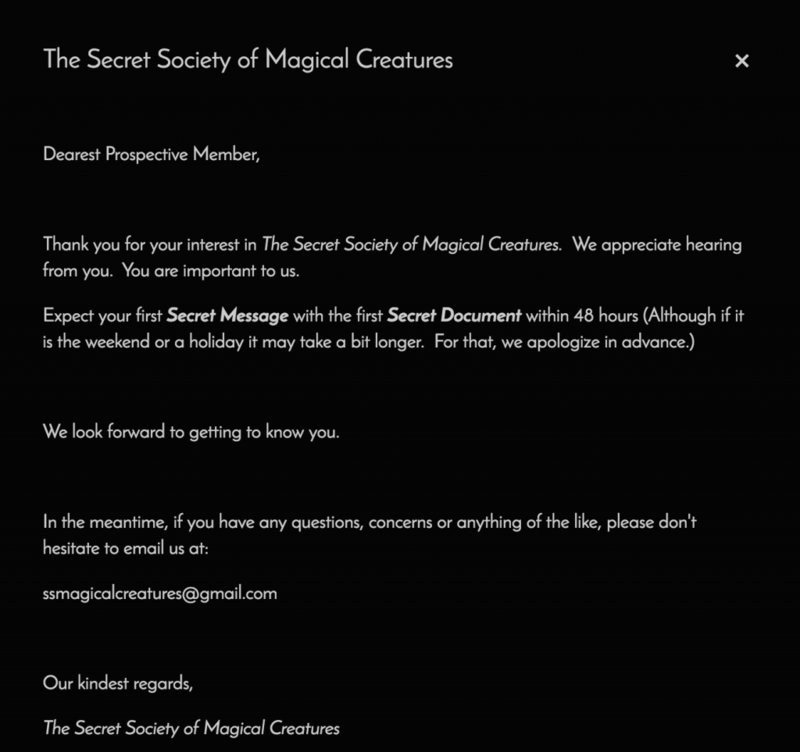 Yes, we want everyone to feel like they’ve been let in on a special secret. Thanks, Cory.